Betting activity of all kinds has always been popular, and likely always will be. The only problem with that for a lot of Americans is that the majority of this activity has long been prohibited by the government. Despite that fact however, there has been a subtle but undeniable trend toward a growing number of betting opportunities in the U.S. – and it raises the question of just what sort of things Americans might start wagering on, given the opportunity. More recently we’ve also seen the rise of political betting of a certain kind. Actually you can find straight-up political odds on numerous overseas platforms, but in the U.S. a site called predictit.org has made a name for itself by offering what amount to bets on politics via tiny stock purchases. That is to say, you can buy “shares” of a candidate in a given race (always less than $1) and sell them back for dollar amounts if they win. So for example, if you’d bought a share of Donald Trump in early 2016 for a listed price of $0.30, you would then have made $0.70 when he ultimately won the presidency. Perhaps most significantly, we’ve also seen movement toward the broad legalization of betting activity, driven by the major sports leagues. So far the NFL has been something of a holdout, though league officials recently met to discuss the idea. Reading up on the news and updates relating to this topic, it sounds very much as if sports betting will ultimately be legalized in the U.S. It sounds like something of a slippery slope, however, and begs the question: if Americans are able to legally gamble on sports, what else might they start betting on? Even major professional betting firms often offer odds on unexpected events (such as obscure political races or legislative decisions) or “specials” (like major award shows). Considering those specials, now seems a good time to point out that Oscars prop bets have long spoken to people’s interest in televised fashion. 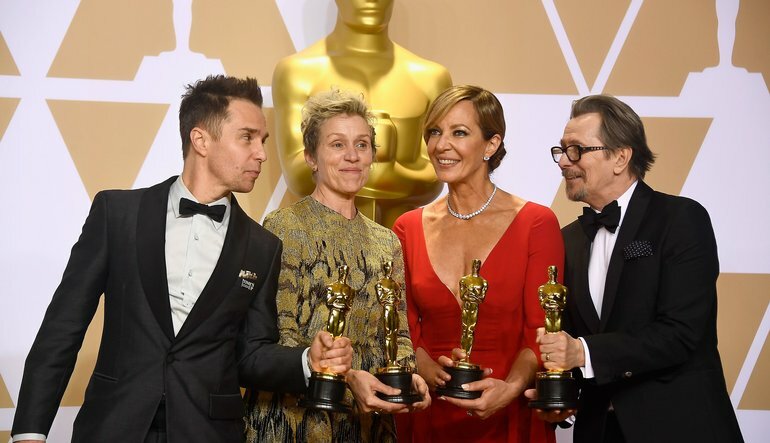 For instance before the 90th Academy Awards earlier this year one such prop speculated on Frances McDormand’s outfit and Jimmy Kimmel’s tuxedo. Somewhere out there, you can safely assume, someone was actually betting on Oscars fashion. If this were to become a legal and regular activity though, would it really stop at awards shows? Or might we start to see different branches of a sprouting betting industry speak to different areas of interest. Is it so far-fetched to imagine betting on the likelihood of certain style trends coming around in the next season, or even in the next year? Wouldn’t you be at least a little bit excited seeing 4/1 odds that a given designer would emphasize pastel makeup trends for the spring, or a 200/1 long shot that Prada would introduce a pearl-encrusted clutch? It’s an abstract idea at this point, but one that could very well come to fruition. And at the very least it’s a fun way to look ahead at fashion trends when approaching a new season.